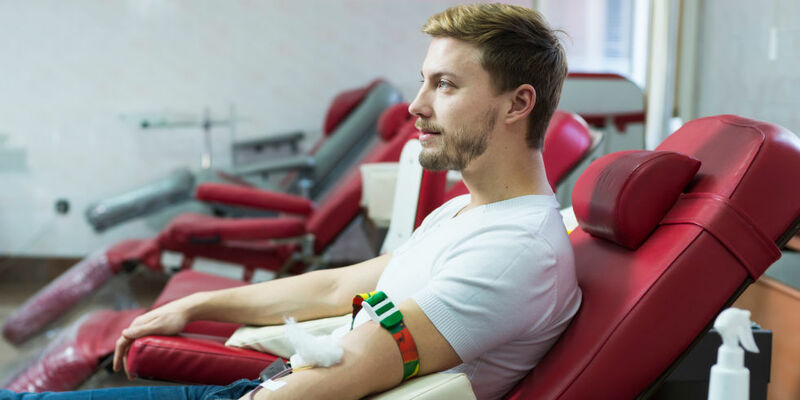 Israel announced Monday that it would be lifting a ban on gay and bisexual male blood donors, a change that has not been made in the United States. Israel's national emergency service Magen David Adom devised a "double testing" system that allows blood banks to screen donations twice, allowing gay and bisexual men to make immediate donations, according to the The Times of Israel. Prior to the Wednesday announcement, Israel shared the same policy seen in the United States, in which gay and bisexual men can only donate blood after a 12-month period of no sexual contact with another man. Israel's Ministry of Health is allowing the new system on a two-year trial basis. The blood will be tested a second time after a four-month interim period when it will be frozen, according to the Times. In December of last year, the U.K. also adopted the waiting period in effect in the U.S., but LGBT activists said that the required year of abstinence still acts as a ban.